Lush Fab Glam Inspired Lifestyle For The Modern Woman: Fab Deals: Get An Early Start To Thanksgiving. Fab Deals: Get An Early Start To Thanksgiving. Our favorite thing about fall aside from the beautiful colors of the leaves is celebrating Thanksgiving with our families and friends. 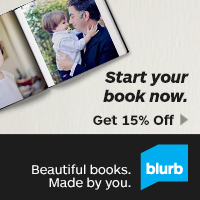 Creating a small Blurb book is a great way to thank them for all they do. From recipe books to photo books that capture wonderful memories of your fun times together. Create your books now and give yourself more time to shop for Thanksgiving dinner! Use code: TAKE15 to get 15% off your. Don't forget to share this fab deal.